We’d love your help. 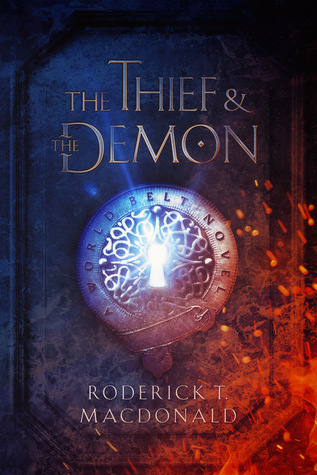 Let us know what’s wrong with this preview of The Thief and The Demon by Roderick T. Macdonald. To ask other readers questions about The Thief and The Demon, please sign up. This book sounds so GOOD! OH MY GOSH!!!! An amazingly complex and enthralling first novel. I was totally immersed into the world of demons and wizards. Great escapism, especially if you have a magic tooth! I tried with this one but the pacing was off. So much talking and not enough demon smashing. I may give it another try, but it was pretty slow. I wrote this book. I think it is fabulous. I hope you do too, when you read it! Let me, and your fellow readers know what you think - readers' opinions are far more important than this author's now! But if you want a fast paced, action filled fantasy adventure set in a new and intriguing world, populated with memorable characters, then this really is the book for you. My name is Roderick T. Macdonald. I am a writer of fantasy fiction. I was born Scottish, made American, and am proud of both identities. I grew up in Edinburgh, lived and worked in Glasgow, moved to Denver, and have stayed there ever since for the weather, and the stable tectonics. I am very happy to meet you, as second hand as this is. I have lived a long time in worlds of my imagination, an Hello.